Fluid art or liquid art is the process of creating art by mixing paints and pouring them on a canvas. Also called “accidental painting”, fluid art or liquid art was first discovered by Mexican artist David Alfaro Siqueiros. He was mesmerized by the simplicity of the process compared to the incredible artistic result. 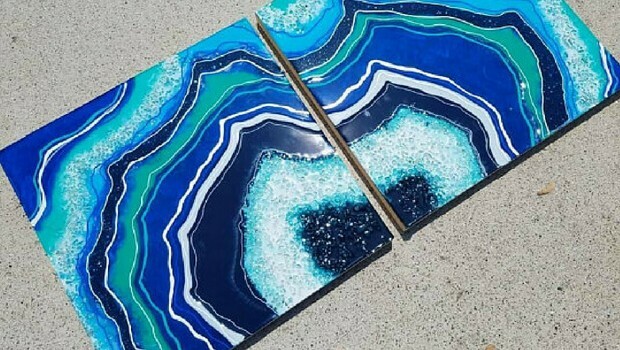 He discovered “fluid art” by simply pouring different color paints onto a wooden panel and by letting them spread and mix with each other. For almost two years, Ashley Carter has been expressing herself through this kind of art. In her own words, her art is a true “explosion of colour and happiness”. Though paint is applied quickly, it takes about a week for the paint to dry on the canvas. Although it might look completely arbitrary, applying liquid paint on a canvas does not happen as random as it seems. Controlling the way the paint mixes and spreads is a technique in itself and patience is certainly a value when starting such an endeavour. Thousands of fans watch Ashley’s work take form on Facebook and Instagram. The process is truly mesmerizing and strangely satisfactory and the final result is almost as mesmerizing as the process itself. It looks and feels like a child’s play, but everyone would like to hang them on their bedroom walls. This explosion of color, consistency and styling creates an incredible artistic effect in the eye of the beholder. Just take two minutes to watch the making-off video and you’ll feel more at peace when you’ll see how colours come together in perfect harmony. 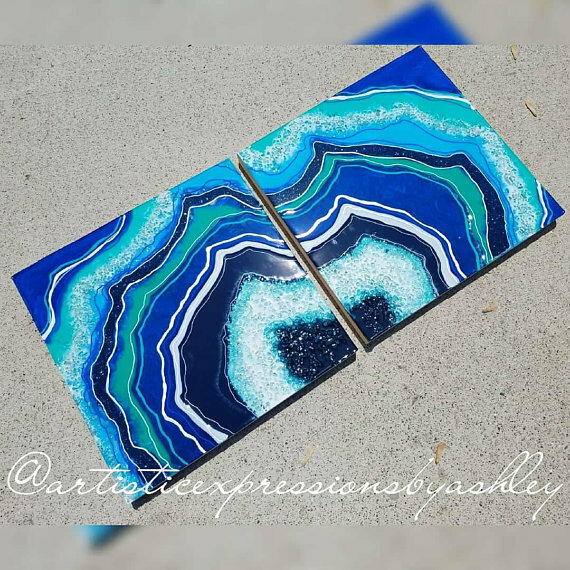 You can purchase Ashley’s work on Etsy.